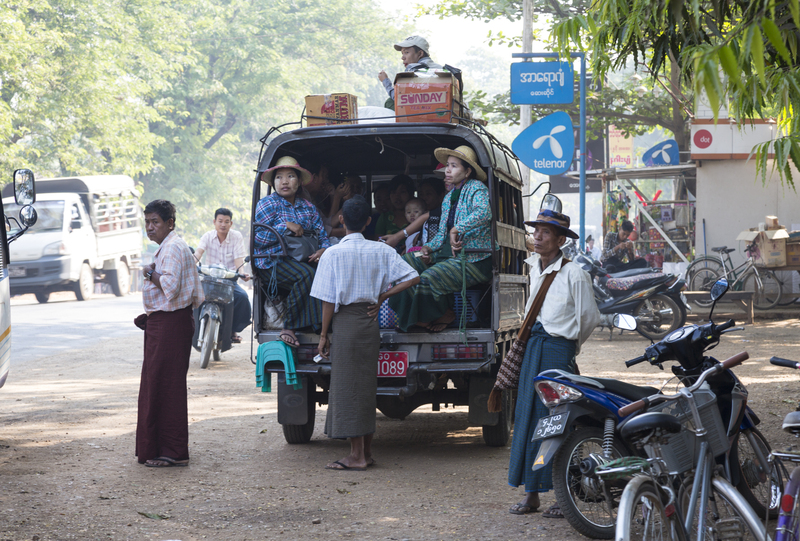 People in Myanmar are shy, polite, proud and friendly. They didn’t mind my making their photographs. It seemed a pleasant experience for those photographed. Showing them the result when possible always produced smiles. On more than one occasion I was asked to have my photo taken with a local. Not because of my good looks, but more because I am a Western tourist. It was always an enjoyable experience with lots of smiles and laughs exchanged. And oh yes, it seems everyone has a smartphone. A great deal of agriculture takes place on the banks of the river. Note the absence of mechanized equipment. In 10 days travelling on the river there were no tractors seen working the fields. All the work appeared to be done by hand, using oxen for the heavier tasks. 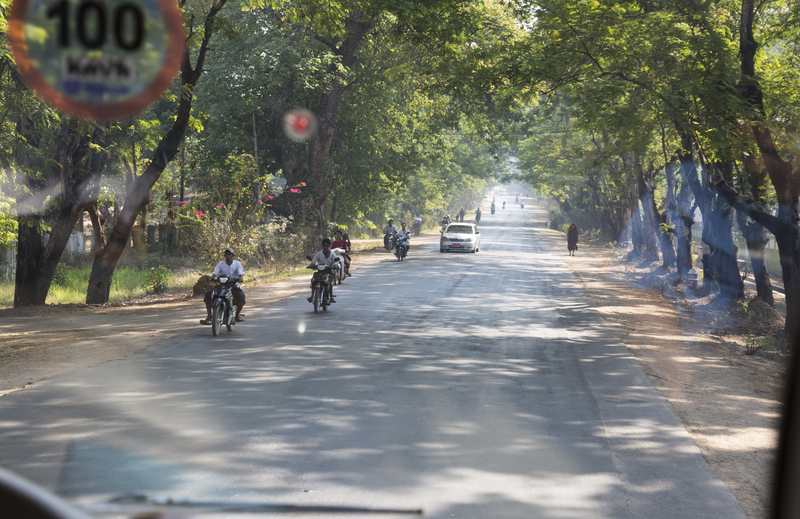 Motorbikes outnumber private cars by a very large margin in Myanmar. The car has a red plate, which identifies it as a taxi. Those people riding on the roof of the truck are said to be travelling “Upper Class” by the locals. Using local clay pulled from the Irrawaddy River bed, the village of Yandabo makes pots by the thousands. The terra cotta pots are used for storage of water or food and are distributed throughout the Mandalay Region of Myanmar. For firing the pots, “kilns” are formed by piling the pots, covering them with rice stalks and setting it on fire. The pile smolders for three days or so and then the pots are retrieved from the pile. Everything is done by hand in many yards of many houses in the town. This is literally “Cottage Industry” using methods going back hundreds of years. 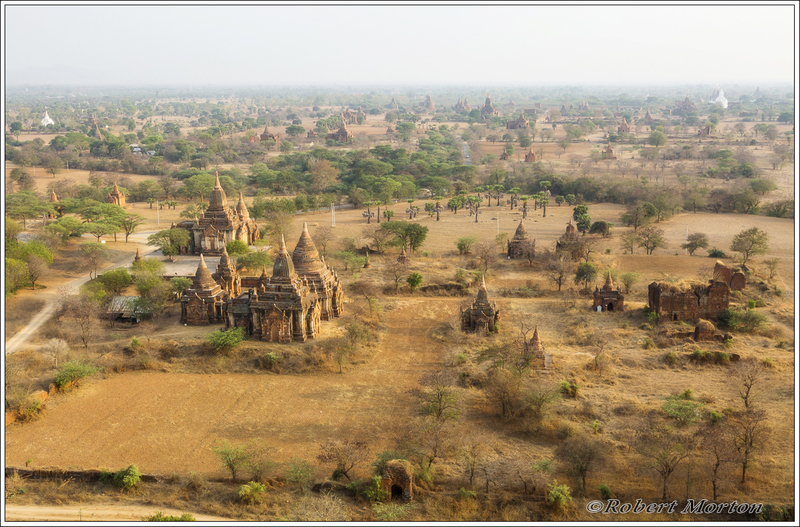 Bagan is an ancient city located in the Mandalay Region of Myanmar . 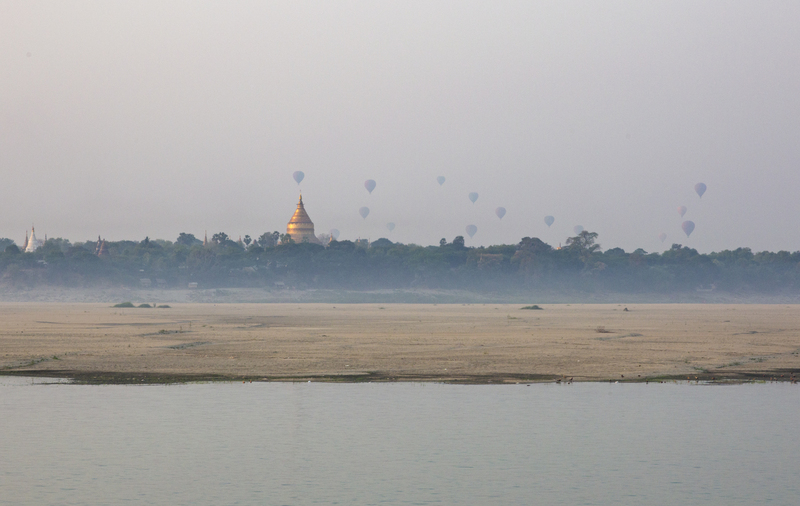 From the 9th to 13th centuries, the city was the capital of the Kingdom of Pagan, the first kingdom to unify the regions that would later constitute modern Myanmar. During the kingdom’s height between the 11th and 13th centuries, over 10,000 Buddhist temples, pagodas and monasteries were constructed in the Bagan plains alone, of which the remains of over 2200 temples and pagodas still survive to the present day. Where to take the boat? 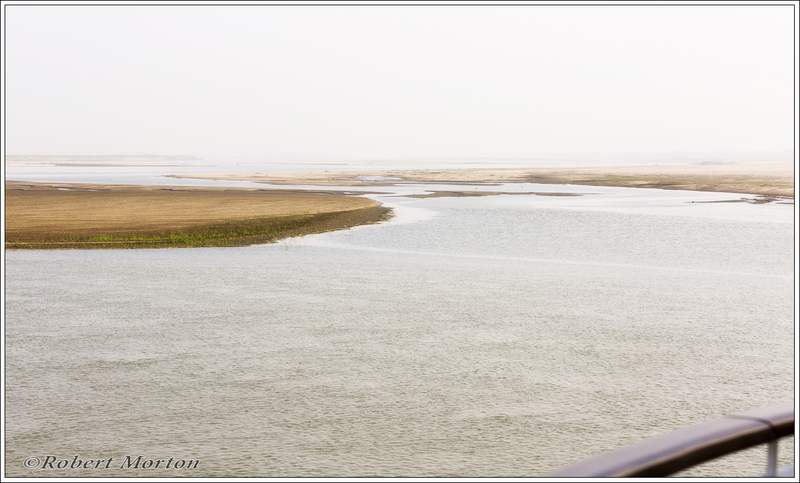 The River is full of navigational hazards and keeps changing from week to week and day to day. The channels are continually changing and fixed navigational markers are next to impossible. Dredged channels disappear quickly. River levels can vary by 30 feet depending on rainfall and time of year. A tricky challenge for the Captain at the best of times.